I was able to chat with Huybrechts Tangetsu-an Tyas Sōsen, also simply known as Tyas Sōsen, the first Belgian and youngest foreigner to become a certified Nihoncha Instructor (Japanese Tea Instructor). He currently lives and works in Japan, directly sourcing naturally-grown rustic Japanese tea for his online store, The Tea Crane, and performing the traditional Japanese Tea Ceremony (sadō, chanoyu, or chadō) at the Kyoto-based school, Kyūgetsu. He told me about his experience moving to Japan, studying for the Nihoncha certification, his sourcing philosophy and practices, and what it’s like to perform the tea ceremony as a foreigner. What was your first experience with tea? What interested you about it? I encountered Japanese tea when I was still a student of Japanology in Belgium. While there, I routinely searched for things that had a relation to Japan as part of my education. A sencha I purchased from a local tea vendor in Belgium was among those dearly obtained items. I still remember that not only did the sencha relate to Japan, but its flavor appealed to me greatly. From that point on, I began drinking sencha on a daily basis, in the morning, during study, etc. Even though I didn’t actually know very much about what Japanese tea was and what cultural value it possesses, when I voiced my aspirations to my family to first study, and then seek to live in Japan, their first question was, “What will you do to make a living there?” Ignorant and stubborn as I was, I bluntly responded, “I’ll just work for or open a little tea store.” This expression was not in the least representative of my actual goals. I just didn’t have anything better to say. That was about 12 years ago, and looking back on this instant now, I couldn’t have dreamed that I now not only run a tea brand, I also worked for a 160-year-old tea shop in Japan’s most renowned tea area, Uji, and have obtained certifications in tea ceremony and as a Nihoncha Instructor. What drew you to Japanese culture? And was it like earning a Master’s degree in Japan? The interest I grew in Japan came through practice in the Japanese martial art, Kendo. My teacher at the time lent me a Dutch translation of the novel on the famous swordsman Miyamoto Musashi, written by Eiji Yoshikawa. The way Japanese culture and the environment was depicted struck me with amazement, and the philosophy and way of life of Musashi felt like something I wanted for myself. It was this book that triggered me to find out what Japan really was about. Since I didn’t have a clear view yet on what I wanted for my future, I chose to major in Japanology at university, and by doing so, get the opportunity to study in Japan for at least one year. One year in Japan wasn’t enough, however. During this exchange, I practiced several Japanese arts, including Noh Theater performance, Jōdō (the way of the stick), karate, and tea ceremony. But after a year I felt I had only gotten a taste, and knew I would need longer to fully master and actually understand even one aspect of Japanese tradition. I decided to return to Japan after graduation and continue my studies, during which I chose tea ceremony as the art I wanted to perfect. I enrolled in the two-year master course in the Faculty of Arts and Letters at Kansai University in Osaka, and while majoring in Japanese 17th Century history and literature, I began my lifelong journey perfecting the art of serving tea. Can you describe what the process was like to train and become a certified Nihoncha Instructor? After handing in my thesis on the work of a scholar of the National Studies tradition in 17th Century Japan, written in Japanese, I managed to graduate. Thereafter, I needed to provide an income as a means to remain in Japan and continue the practice of tea. After taking a job that didn’t really work out, I looked for a tea vendor I could work with to further deepen my understanding of Japanese tea, and simultaneously purchased the Nihoncha Instructor course. This course is, to date, only available in Japanese, and is packed with information on history, tea farming, manufacturing, chemistry, health-related benefits, brewing guides, and manners. It even includes guidelines on how to dress and how to present a tea brewing demonstration. The amount of information in this course is said to even cause headaches for Japanese learners. The test consisted of two sets of 50 multiple-choice questions, which had to be answered within 75 minutes per set. This allows on average only 1.5 minutes per question. Each question consisted of 4 given answers from which the examinee either had to select the right or wrong answer. Most answers were seemingly right, but were made wrong through small wordplay or an interchanging of words in the sentence. What made it most difficult for me was to read and understand so much Japanese in so little time. I barely made it and felt slightly discouraged after the test had concluded. The second part of the examination consisted of 4 sets of practical tea evaluations. Distinguishing tea varieties by looking at the leaf only. Easy enough, but sencha, gyokuro and kabusecha cause confusion among most examinees. Feeling, smelling, and looking at a set of 4 raw teas (aracha) and lining them up according to when they were harvested. The youngest batch is more refined, whereas the older batch has more stems and coarser leaves. The difference between the batches, however, was only a matter of days. A quality examination by feeling and looking at 4 sets of finished sencha. Lastly, the inspection of 4 raw teas (aracha) when infused. Ironically, I passed the theoretical test without any further ado. But, I failed the practical part once. Additional practice at the tea store I was working at aided me in getting things right the second time round. Was there any resistance to a Westerner training in these arts? Still a lot of contemporary Japanese get frightened with the idea of having to work with a foreigner. Having to speak English is a difficulty, and we are not Japanese, so we obviously can’t understand how to work according to Japanese standards. All this will only cause additional headaches and is thus a nuisance better to be avoided. Even now, such happenings can occasionally occur. For me, as a foreign practitioner of the tea ceremony, it, in fact, isn’t any different from any Japanese practitioner. The fact that I am very well integrated, and fluently speak the language is, of course, helpful, but in the tea area, everyone is respected and regarded as an equal practitioner engaged in the same endeavor. Becoming certified as an instructor in this rite places me on the same level as other instructors and Japanese students of tea will, without hesitation, ask me questions about any aspect of the tradition. How did certification lead to you opening an online tea business? It was an encounter with organically produced tea that actually led me to aspire to set up a tea brand. While working for a tea store in Uji, I already had specific doubts about contemporary manufacturing methods with relation to excessive fertilizing and unnecessary usage of pesticides. Although I frequently addressed my concerns to coworkers (and privately to tea manufacturers as well), I continued getting the same averting response. “Oh! We don’t do organic tea. It’s simply not delicious!” After a while I became conditioned into believing that organically produced tea must be something that is just not palatable. Least did I know! It wasn’t until I discovered a producer of strictly naturally produced tea that I was able to try first-hand an organic tea, and it was heaven. Yes, it tasted different from the generic type of sencha that is now widely available, but it certainly wasn’t anything that would be considered bad tasting. On the contrary! What I felt was truly the source of this belief that organic tea is not preferable, is that it isn’t as full of umami flavor as thickly fertilized tea, and its yield isn’t as large and steady as with customary practices. This discovery instilled me with a sense of duty. It was my responsibility to introduce more organically and naturally produced Japanese teas to the world in an attempt to support those producers and to make my contribution to a healthier environment. And how did Kyūgetsu get started? The name Kyūgetsu is actually the name of our tea ceremony practice group. When you obtain the rank of full instructor in our school, you receive a second name from the grand master. This is the hermitage name or ‘angō’ [庵号]. My teacher’s name is Kyūgetsu-an [汲月庵], meaning ‘the hermitage of he who attempts to scoop the reflection of the moon from the surface of the water’. In analogy, I received the name Tangetsu-an [淡月庵], which means ‘the hermitage of he who is still faint in understanding the Buddhist dharma (a pale moon)’. This allusion to the moon is in reference to it being the symbol of enlightenment in Buddhist teachings. Since we are both teaching together, it was suitable to name our practice group ‘those who are in pursuit of the moon’ Kyūgetsu-kai [求月会]. And it is from this that we derived the name for the cover under which we provide tea ceremony services for visitors, mainly foreign, in Kyoto. I also conducted tea ceremony activities when I was still working at the tea store, and hosted multiple sessions for store visitors as an introduction to matcha tea and the tradition behind it. When I started my web store, I felt I needed to continue this effort. In all honesty, most tea ceremony ‘experiences’ in Kyoto are conducted by inexperienced people, trying to make a buck off the increasing tourist population. These services are more entertainment than an authentic representation of what tea ceremony in fact is. This is what Kyūgetsu wishes to provide. Our sessions can be seen as a private seminar, in comparison to the quick afternoon activities that are more widely available. What’s your philosophy in sourcing teas to sell? What do you look for? How close are you with the farmers? I source directly from the producer. I don’t need to have the organic label, but the tea must be produced according to natural or organic standards. This is what I confirm with the producer directly, and it also interests me what practices they use to fertilize or protect their crops. This is the baseline. Ideally, I look for native cultivars, because I want to present teas that are rich in regional diversity and carry the taste of the tradition and the area they were grown in. I have also started looking more into black teas and Japanese grown oolong teas. I don’t think that we can actually compare a Japanese oolong to a Taiwanese oolong, in that the processing of these teas is largely different. For lack of other terminology however, I must call these lightly oxidized teas ‘oolong’ in an unfortunate analogy with their mainland lookalike. Before the advent of machinery, it took longer for tea to be carried from farm to factory, and commonly also had to wait before being processed. During this time, the leaf would already start to oxidize lightly. With machinery, production is accelerated, and a greener leaf can be maintained. I look to Japanese lightly oxidized tea from mainly a traditional point of view, in search of what a tea traditionally would have tasted like. In addition, I also find these teas to contain an enhanced amount of aroma and scent, imbuing it with a pleasant variation of fragrances, making it a satisfying alternative to the more generic sencha. What’s been the most surprising thing to you about working in tea in Japan? Even though processing machinery has only been actively in use for about 50 to 60 years, it has tremendously overhauled not only our perception of what the traditional landscape of tea looks like, but also our preference of what tea should taste like. To illustrate, the focus on umami flavor in tea is only a recent preference, which began to change some 30 to 40 years ago. These recent changes have, in my opinion, added flavor to the tea, but unfortunately at the cost of diversity and aroma. *Photos courtesy of The Tea Crane. this interview is a true gem. thanks guys! We actually plan to talk to Tyas more about that very issue, he has a lot to say on it! Keep you posted! what a beautiful story! 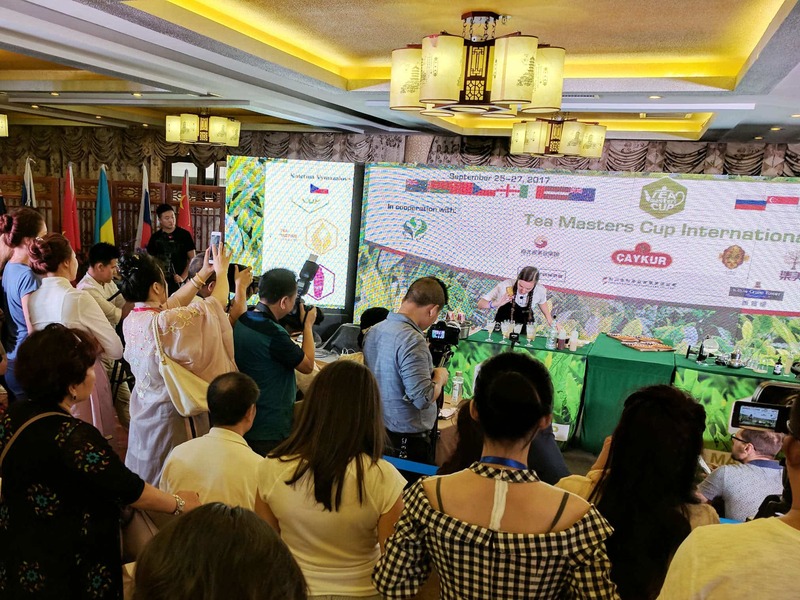 In this golden age of tea, it’s wonderful to see masters like Tyas Sosen honoring the traditional virtues of the leaf…preserving what’s sacred and legacy-worthy about it!